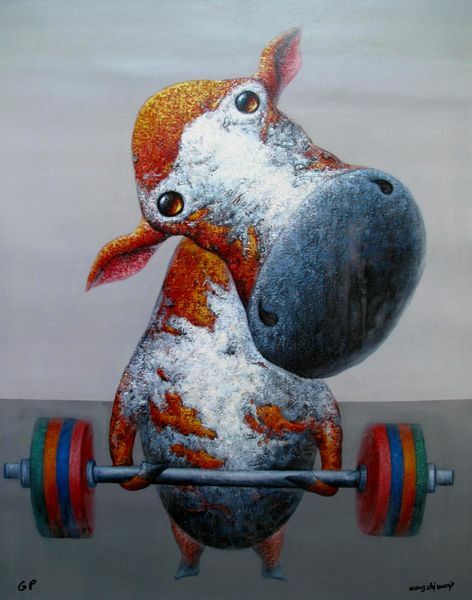 This is a limited edition hand signed giclee on canvas titled “ARM STRONG” by Chinese artist Wang Zhiwu. 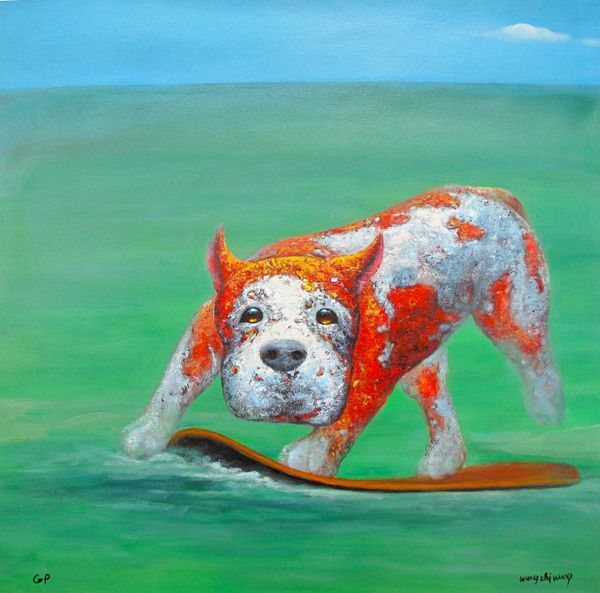 This is a limited edition hand signed giclee on canvas titled “LOOK MA, NO PAWS” by Chinese artist Wang Zhiwu. 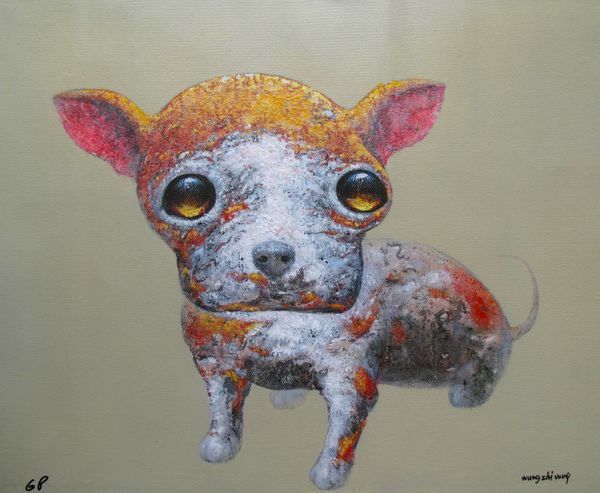 This is a limited edition hand signed giclee on canvas titled “OH CHIWAHWAH” by Chinese artist Wang Zhiwu. 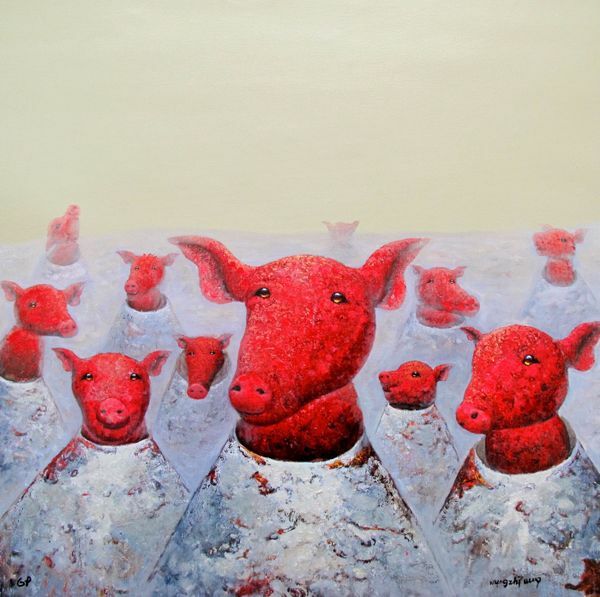 This is a limited edition hand signed giclee on canvas titled “PIG CANNON” by Chinese artist Wang Zhiwu. 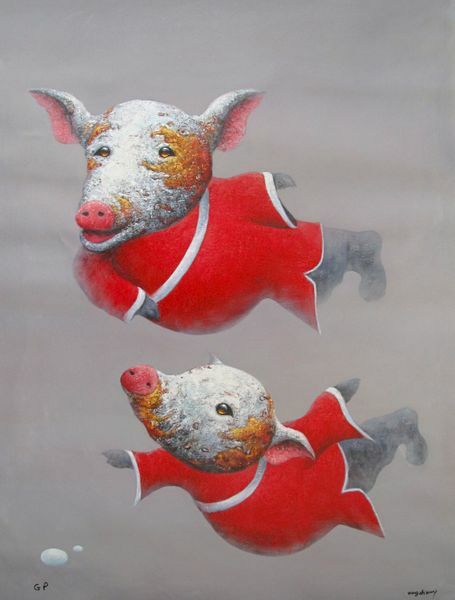 This is a limited edition hand signed giclee on canvas titled “ZEN PIG” by Chinese artist Wang Zhi.